There are 16 references in this series of the treasure Island, the seventeenth being in copy (the carriers). This American series in 1/2 round-bump was produced by the company Josely and Co. We found the voucher in certain Comics and we received against $1,25, one hundred of these characters. It was current in the United States to find this type of offer (see the Dolls). 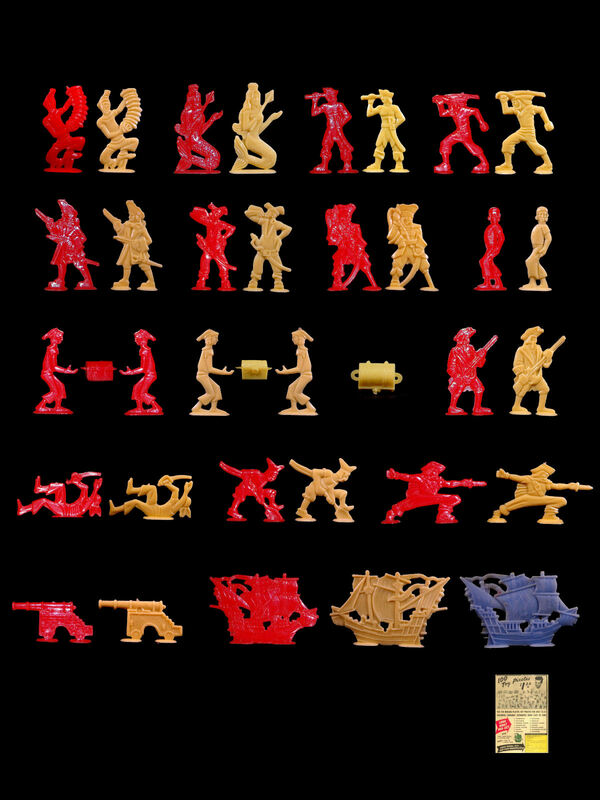 Many figures found in unmarked Europe are often American.